23 and trying to make a mark in the industry. A graduate from NIFT MUMBAI and FIT, NYC, I've always believed in the philosophy that you need to feel beautiful to look beautiful. Having gone through a phase in life where I'd felt nothing could look good on me, this is an effort to help those who feel the same and make them realise that you don't need to be a size zero to flaunt your beauty. Inaaya is the other side of me. The girl who dares; the girl who is unafraid and unabashed. The girl who's dreamy, yet fierce. She's beautiful because she's herself. She's as me as me could get. And she's you too. She's inside each one of us. She's the gift of god we need to unwrap and see. She's the hidden beauty we fail to see. Q7. Create an indoor games room for a kindergarten/nursery. Q8. Design a cart for a disabled person. Q9. Create a Flower Vase with creative flowers on the theme “Storm”. Q10. Make a Dhaba keeping in mind the local culture. Q11. Make a badge for “save environment” for 22nd century. Q12. Make a bag for a doctor who is also a first time mother. Q13. Make a wind chime for a sailor’s home. Q14. 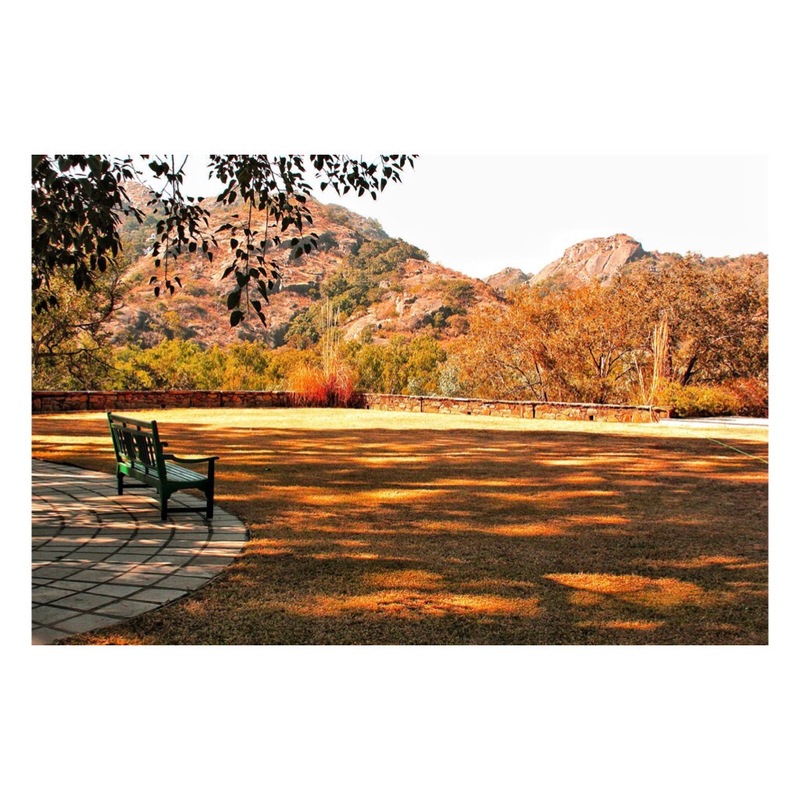 Make a park bench for senior citizens that is inspired by nature. Q15. Show a kitchen according to family’s lifestyle. Spotting that first strand of grey hair is really not a sight we all want to have. From experimenting with many styles to flaunt our healthy and ever-so-good hair, we find ourselves trying to hide those few greys. While we don’t mind carrying that uber-cool salt-and-pepper look sometimes, but that’s not the every-day look we want to have, right? That one single silver strand can be intimidating sometimes, as it opens up a new chapter telling us that our greying-phase is about to begin. And in all of this frenzy, we have so many unanswered questions- Will they go away with time? Or will they increase beyond my control? Is it in my genes? Or is my lack of work-life balance the cause? Greying of hair is natural with age, but when hair starts greying early we often wonder why? Thankfully science has the answer and now Marico’s True Roots offers a solution to delay hair greying from the roots. Greying of hair is caused due to decreasing levels of melanin in the hair roots. Melanin is a natural pigment, which gives hair its dark colour. Marico’s True Roots Botanical Hair Tonic, is a first-of-its kind innovation, that works by increasing the melanin levels in the hair roots and thereby delays hair greying. It is formulated with Apigenin, an extract of chamomile flowers and powerful botanical actives that increase the melanin levels in the hair roots. Some blame the grey on genetics but that’s not the only reason- not following a proper diet, irregular sleeping habits, work or personal stress, pollution, lifestyle habits, hair coloring at an early age, etc. But the main reason we start greying is because of melanin depletion in roots. Melanin is a pigment that each hair follicle has, and it gives hair its color. As we age, our scalp produces less pigment, resulting in whitening from the roots. In such cases we call it premature greying, which means you start greying when it really is not your age to grey. So what does True Roots contain? Chamomile flower makes for a fantastic hair colorant especially for the Indian hair types. It contains a pigment called apigenin, which helps in producing melanin that in return gives hair its natural color. Radhika Apte, launched Marico’s newest brand ‘True Roots’, that delays hair greying from the roots. True Roots Botanical Hair Tonic is dermatologically tested and is clinically proven to show no new greys in 90 days. The actor, who is known for her choice of diverse roles, and speaking her mind, spoke about the #FaceItSolveIt philosophy of True Roots, while launching it here at an event today. True Roots has been launched on Flipkart as a first digital brand. Marico’s newest brand, ‘True Roots’ is a powerful botanical hair tonic which delays hair greying from the roots. Greying of hair is caused due to decreasing levels of melanin in the hair roots. Melanin is a natural pigment which gives hair its natural dark color. True Roots botanical hair tonic is formulated with powerful botanical actives and Apigenin (which is a natural extract from chamomile flowers), to increase melanin levels in your hair roots in a natural way to delay greying. True Roots is dermatologically tested and clinically proven to show no new greys in 90 days. True Roots Botanical Hair Tonic comes in an innovative spray format that makes everyday application convenient. It is aqua based, non-sticky and fits in perfectly with the lifestyle. The Textile Industry in India ranks number two after agriculture which obviously means that there are PLENTY of jobs out there for all of us. Yet a lot of you guys, who genuinely want to pursue fashion as a career, come to me asking about what should you do after graduating. Hence, this blog has been written keeping that in mind. A video has been done on my channel talking about the same too. You can find a link here. -Bridalwear Designer: If bridal wear is your true calling and embroideries make your heart swoon, you might want to consider working under designers like Manish Malhotra, Tarun Tahiliani, Abu Jani Sandeep Khosla etc. for experience until of course you start something of your own! -Ready to Wear Designer: If working as a RTW designer creating wearable everyday fashion is your thing, you might enjoy working under brands which help you achieve that, namely Pantaloons, Westside, AND, UCB etc. -Sportswear Designer: Sportswear or Athletic designing requires precision and innovation. Brands like NIKE, PUMA, ADIDAS could be your place. -Knitwear Designer: As a knitwear designer, you could work in any of these said fields but you have an edge over other designers since your specialization is knits. And we all know that knits is the future of the fashion industry. -Menswear Designer: Designers having an inclination towards men’s fashion pursue Menswear designing as a career path and you see them working at companies like Raymond, Arvind Mills, Shantanu and Nikhil, Sabyasachi Menswear etc. -Kidswear Designer: As a kidswear designer, you have to love prints and loving making them too! That is 90% what this career path is all about. Kidswear constitutes a major chunk of the fashion industry and the profit margins are way higher than normal. As a designer for kids clothing, you may see yourself developing kid friendly clothing and prints for brands like Gini and Jonny, Lilliput, Ruff Jeans, Unite Colors of Benetton, Pantaloons, Shoppers Stop, etc. -Lingerie Designer: Amante, Victoria’s Secret, Wacoal, Triumph, Pretty Secrets and a dozen full of brands which work in the intimate’s sector of the fashion industry are the go-to place for a lingerie designer. -Costume Designer: If designing costumes for sets, Bollywood, period cinema, plays, musicals, dances etc. is what you are born to do, a job as a costume designer would give you flexibility and joy! -Stylist for Ad films: Advertisements which come on television also require stylists. It’s mostly less glamourous and more everyday wear, believable character dressing, but it requires incredible amount of research and sourcing. Unless you are working for a production house, the job is flexible with odd work hours. -Stylist for Bollywood: Styling for Bollywood films is the ultimate goal of most fashion enthusiasts. But what we overlook is the crazy work hours, last minute schedules, and everything else that goes into working on a film. However, if you like the erratic work hours, you may want to consider this field since the benefits are far too many. -Stylist for Editorials: Fashion magazines and print media require stylists for creating content for them. Vogue, Grazia, Elle, Harper’s Bazaar etc are some of the bigger names of this industry which hire on a regular basis for the same. Imagine working with celebrities for Cover shoots and concept driven shoots. Ah! -Celebrity Stylists: Ami Patel, Rhea Kapoor, Mohit Rai, Anaita Shroff, Devki Bhatt, Sanjana Batra are some of the big names in the fashion industry who style celebrities for a living and do an incredible job at it! But it requires years of networking, experience, research, knowledge and sourcing. -Fashion Illustrator: Fashion Illustrators illustrate garments and designs for brands and designers. The job profile in India is relatively new because not many people consider it a full-time job as opposed to the west, where designers are hired on the basis of this skill. -Fashion Photographer: Being a fashion photographer requires one to shoot for magazines, e-commerce platforms, look books, catalogues etc. The job is demanding but rewarding none the less! -Fashion Forecaster: A profession which is mostly a desk job that requires you to be researching continuously is the basic gist of a fashion forecaster’s life. WGSN, PROMOSTYL, STYLESIGHT etc. are some web platforms that offer the best forecasts which the entire world follows. -Fashion Choreographer: If the ramp is your life, your dream job could be organizing fashion shows and fashion walks. Creating the entire vibe of a fashion show, right from the models to the music to the sets and the feel. -Buyers/Merchandiser: Merchandisers are responsible for ensuring that the right amount of goods are available in store and are being sold at the right price. They work closely with buyers who decide what to buy and sell from a store. Ogaan, Ensemble, Aza are some of the big multi-designer stores which have buyers and merchandisers holding great power and authority, sitting front row in fashion weeks, deciding what designers to sell and not sell. -Print Designer/Graphic Designer: If graphics and prints are your true calling, then you can work as a print designer at a fashion house or even a lifestyle or home décor brand. -Wardrobe Consultant: You’d be surprised how much the elite are willing to pay wardrobe consultants to just jazz them up. If creating a functional personalised wardrobe is your kind of thing, consider yourself the perfect match for this job. These are just a few job options in a world of infinite opportunities! However, I hope you benefit from this blog in some way. Maternity and pregnancy are a beautiful phase in every mother’s life. The process right from conceiving to the nine months of growing a life inside you requires a mother to be stress free, nourished and well taken care of. However every eight minutes a woman dies in labor in India. This is indeed an appalling state of affairs. For every maternal death in India, 20 more women suffer from lifelong health impairments that result from complications during their pregnancies. A majority of these deaths are among women in the 15-29 age group, at the prime of their reproductive lives. Even after multiple policy changes and implementations, there isn’t a significant change in the statistics which made me worry about the future until I visited Cloud Nine, Vashi where none other than celebrated actress and a mother herself, Shilpa Shetty was present to inaugurate the hospital. India’s leading chain of maternity hospitals known as Cloud Nine Care has opened it’s latest branch in Navi Mumbai. And was I impressed with the infrastructure! Cloud Nine Care is facilitated with top notch birthing services at an affordable rate. The hospital boasts of a whooping‭ zero percent mortality rate and negligible infant mortality rate! And I haven’t even come to the best part yet! Cloud Nine doesn’t believe in minting more money from its patients for a C-section delivery and that is why the prices of a C- Section and a normal pregnancy are similar making it easier for the expecting parents to choose from. Along with maternity, the various other healthcare assistance provided by them are in gynecology, pediatrics, fertility , and stem cell banking. Having lived in Navi Mumbai for three years during my college days, I know how essential it was to have a good maternity hospital in the vicinity and Cloud Nine Care serves the purpose! Going down the Acne lane with Safi! Anyhow, fast forward 5 years, my skin started breaking out and acting all teenage-ry again. So as was obvious I went back to the good ol’ green bottle of Safi. Safi is a 100% natural and herbal blood cleanser and purifier which is decently priced at Rs.85 for a 200ML bottle. Around three weeks of Safi and I cannot stop gushing over the amazing effect it had on my skin. Although, there were already break outs on my skin and they did not go away in the first week, and I did have my moment of panic but after a week all the break outs declined to a considerable amount. My face became very clean and glowed naturally. This is definitely something I am recommending to all of you girls and guys too! Apart from skin problems, it also cures indigestion and checks on weight management. Hamdard Safi is definitely something I can vouch for and the tag line Ragon Mein Khoobsurati with Safi is so apt because it really does cleanse your blood and body from the inside! 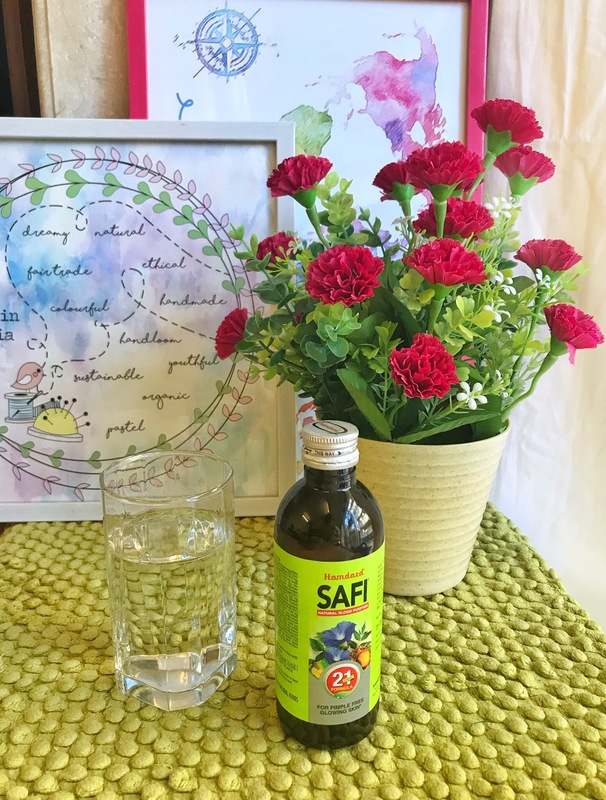 Try taking two teaspoons of Safi every day with an increased intake of water and see the effects! And don’t forget, consistency is key! Stay consistent even if you feel it’s not doing much good. You don’t know that it is cleaning your body from the inside! “In a crooked little town, they were lost and never found. For me, a huge part of my heart lies in the city that gave me wings and made me who I am today. I know your first guess would be Mumbai and I cannot deny that this city is my life and I love it so very dearly but there’s another city that I am talking about today: New York City. The city of Dreams. The Big Apple. The Epitome of all things Awesome. The city that made me realise my self worth. The city that gave a naive 20 year old the confidence to be herself. The City of Fashion! I am writing today because I miss NYC. And also because I want to cherish those memories. But mostly, I am writing this because I stumbled upon my old sketches from FIT and felt some really strong emotions resurface and pop, one at a time. One thing led to another and suddenly I was hunting for withered leaves that went with my quote and then I was searching for my old college sketches on the theme “The Withered Leaf”. Yup. I’d made a collection on Autumn. 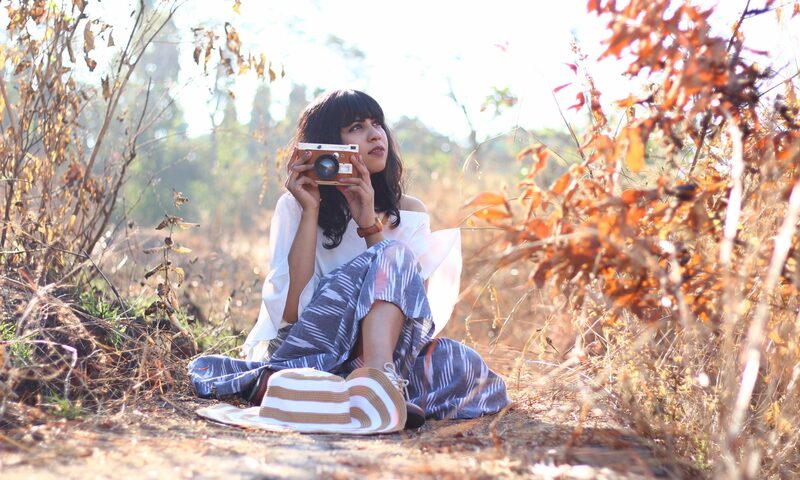 And soon it was these set of crazy fun pictures and flatlays! This, is the final result! Short stories that end abruptly have always interested me and this is no different. They leave a taste in your mouth that lingers much longer than a story that has a definite end. Maybe it was the outfit that did it, maybe it was the feel of the place that triggered the romantic in me; whatever it was, it helped me write something I enjoy now so I am not complaining! Anyways, this is a perfect cheesy date look if you have a big day planned anytime soon. The versatility of this dress never seizes to amaze me, but. While I was wearing it as just a beach dress in Seychelles a few weeks back, here it is in all its full glory, with just the edition of jhumkas! Accessories play a huge roll in giving clothes their actual identity. The right accessory can take an outfit to the next level while the wrong one can just ruin it all. I’d worn this dress with my hair on one side with some floral pins and no makeup at the beach while here I am wearing it with high heels (blocked heels in my case since, for the love of god, I cannot walk in stilettos!) and just some jhumkas. Dresses and jhumkas are always a good idea I feel and this is just my way of making it work. I’d love to know your thoughts!